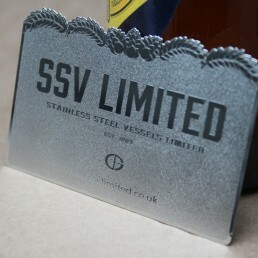 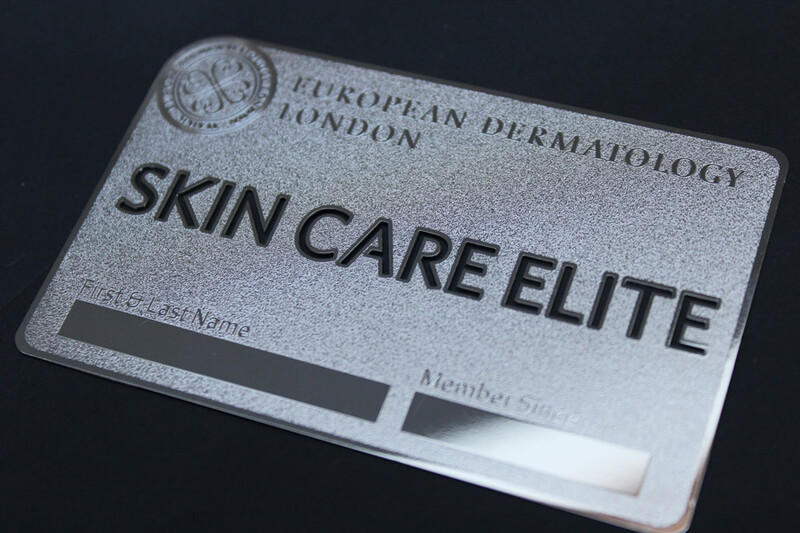 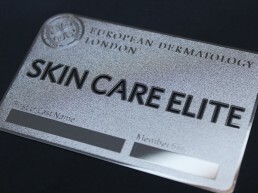 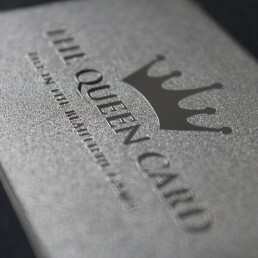 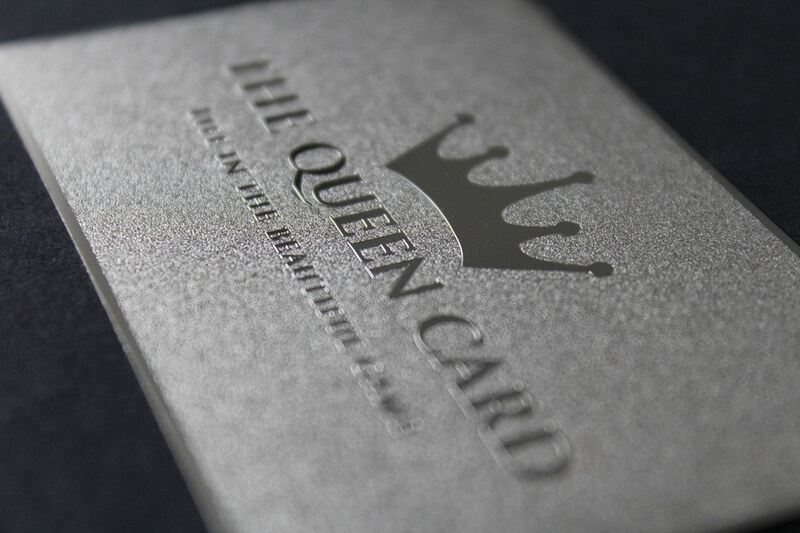 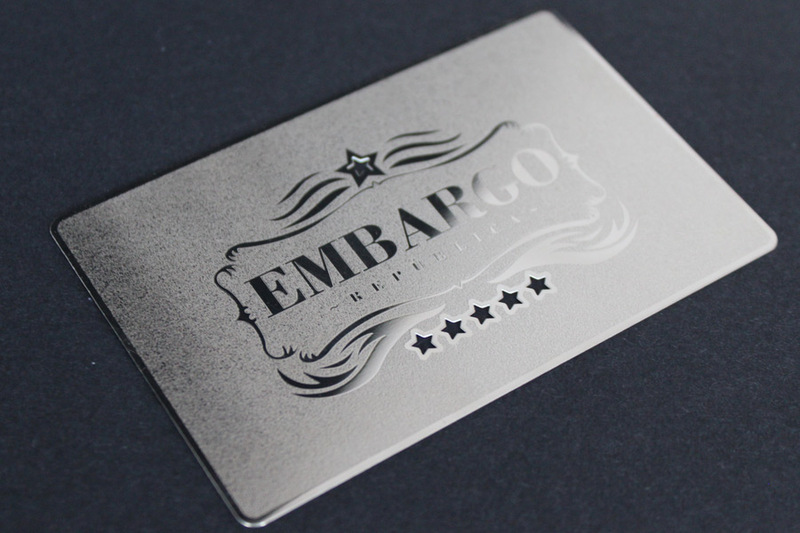 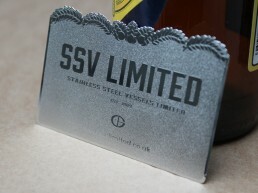 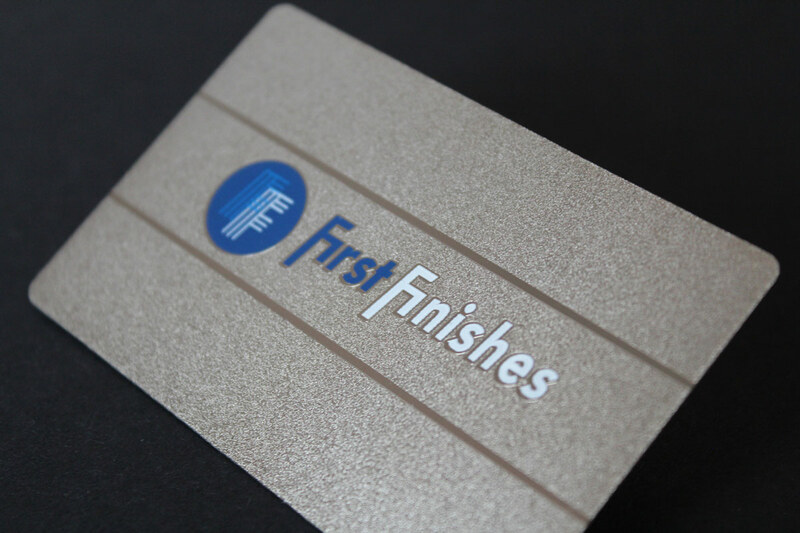 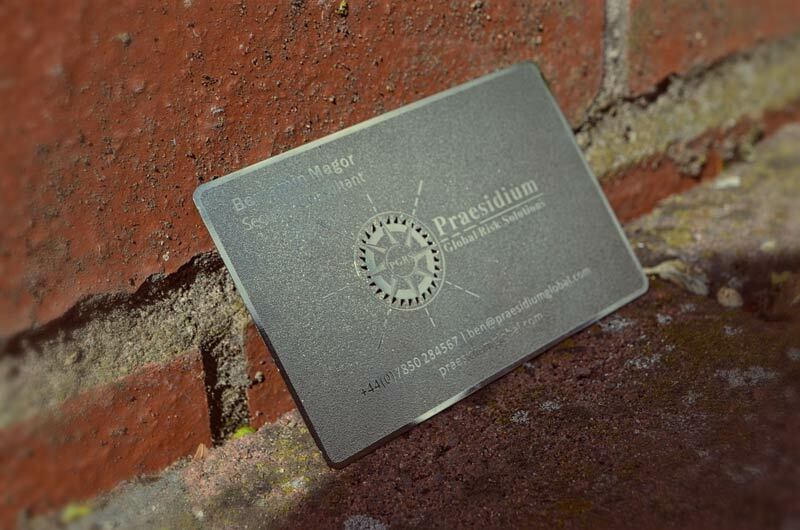 One of our most popular styles of metal business cards, the pitted and gloss effect gives the ultimate level of sophistication. 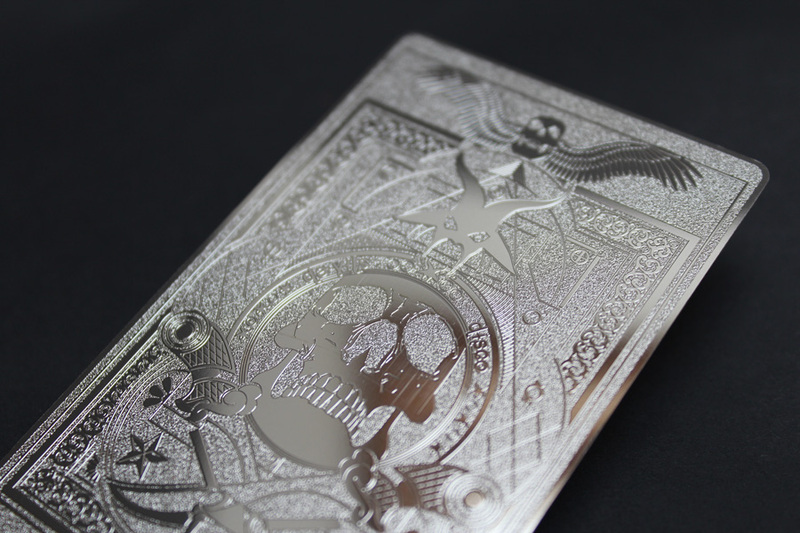 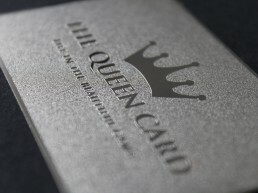 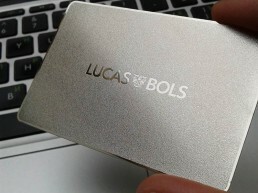 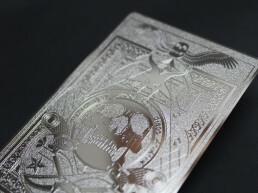 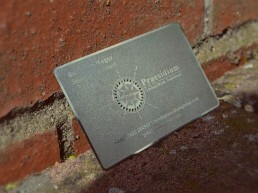 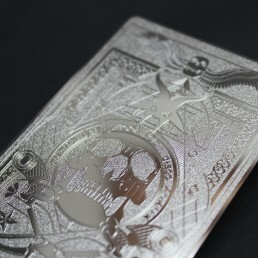 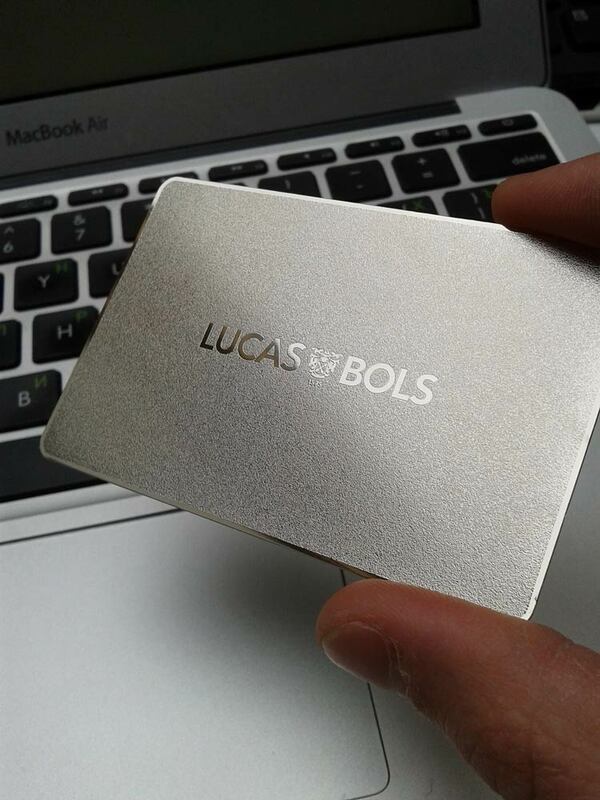 Logos and text can be silk printed and the base can have custom cut throughs to make a truly unique card. 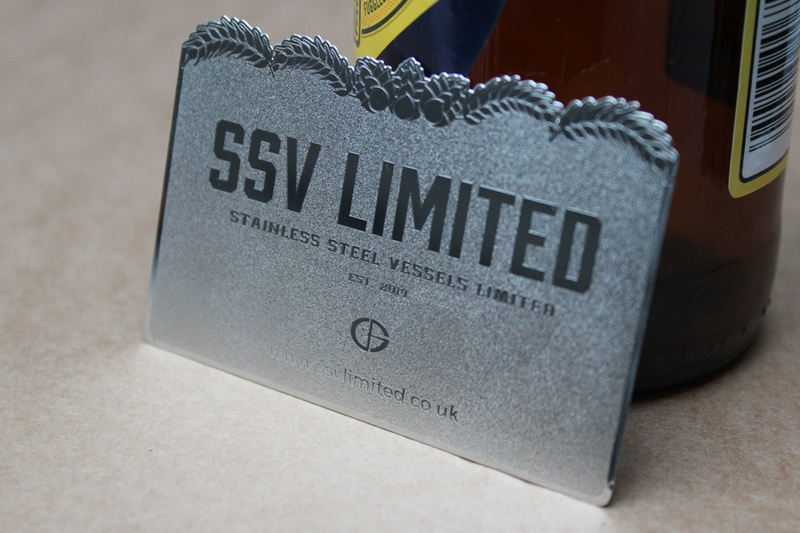 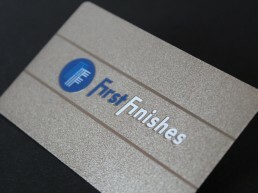 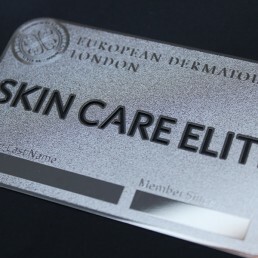 Based on a marine grade stainless steel (or SAE 316 stainless steel as it’s technically known) we etch a sand-like texture to provide contrast with the raised gloss text and graphics. 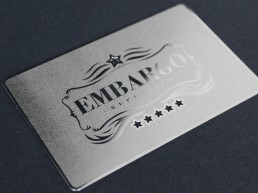 Silk print can be applied to the raised parts to match your company branding. 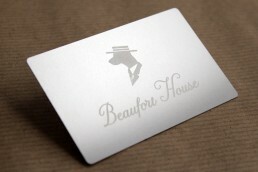 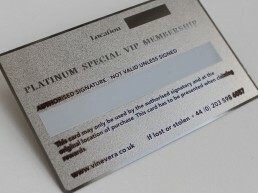 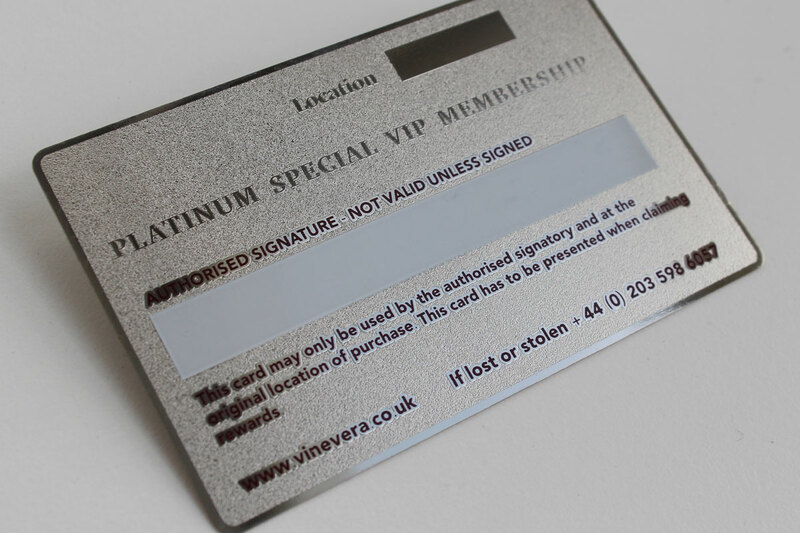 This style also makes a fantastic membership card.